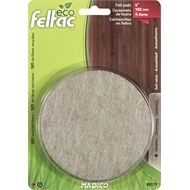 FELTAC™ felt pads provide the best combination of softness, sticking power, durability, thickness, stability and colour! Sticking Power - The quality adhesive applied to FELTAC™ felt pads will not separate from the felt, even in the presence of liquids. Softness - Density and ber diameter must be balanced out to obtain optimal softness and durability. Thickness - Thin felt is not durable: a thicker, denser felt,such as FELTAC™, will provide stability and durability. 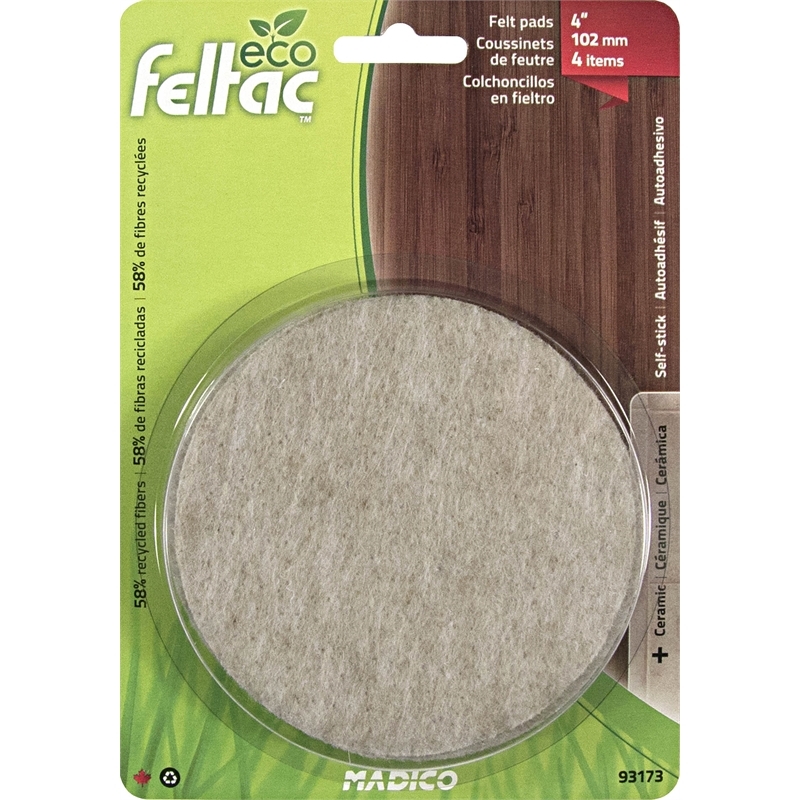 Sound - FELTAC™ felt pads are the quietest around; some other brands sound up to twice as loud!